If it's not your Mom or Grandmother, there is probably someone in your life who just seems to know all the tricks and hints to make laundry and clothing care easier. Well, if not easier, at least how to make it come out clean. Throughout this site, I've tried to share tips and techniques to solve specific stain removal issues and appliance problems and detergent, fabric softener and scent enhancer reviews. But there are just some laundry and clothing care tips that don't fit into any particular category. So, I'm put together a list of laundry tips that will might just help you. Read them over and one day a little nugget of wisdom will surface that will amaze your friends and impress your Mom. Before you wear a new garment, put a little dot of clear nail polish on the front and back threads of each button. Buttons will stay on longer when their threads are sealed. Zippers won't stick if you rub them with the edge of a bar of soap. If you break the zipper, you might be able to repair it by following these directions. When laundering clothes, add detergent to the washer first. Pouring detergent on clothing can leave streaks and even cause fabrics to fade. Wash nylon clothing after every wearing. Nylon is very hard to clean once it becomes heavily soiled. Flood any oily stains immediately after they happen with warm or hot water to prevent them from becoming permanent. Protect silk clothes from direct sunlight which will fade and weaken the fibers. Silk should also be cleaned after every wearing because perfume, strong deodorant and perspiration can weaken and damage the fibers permanently. NEVER use an acetone-based nail polish remover on triacetate garments to remove stains. The acetone will dissolve the fabric! Don't add chlorine bleach at the start of the wash cycle. Wait five minutes to give detergent time to remove soil and bind it with the surfactant ingredients. The bleach can do its whitening thing. Turn all clothes inside out before to prevent fading and keep the right side looking its best. If you don't have a mesh laundry bag for washing your delicate lingerie and fabrics, place them in a pillowcase and fasten the loose end with a plastic bag tie or shoelace before tossing it in the washer. Out of dryer sheets? Make your own by pouring a bit of fabric softener into a bowl of water - about one teaspoon to one cup of water. Swish a washcloth in the solution. Wring it out and toss in the dryer to soften your clothes. To reduce wrinkles without a fancy steam-infuser dryer, thoroughly wet a hand towel with water. 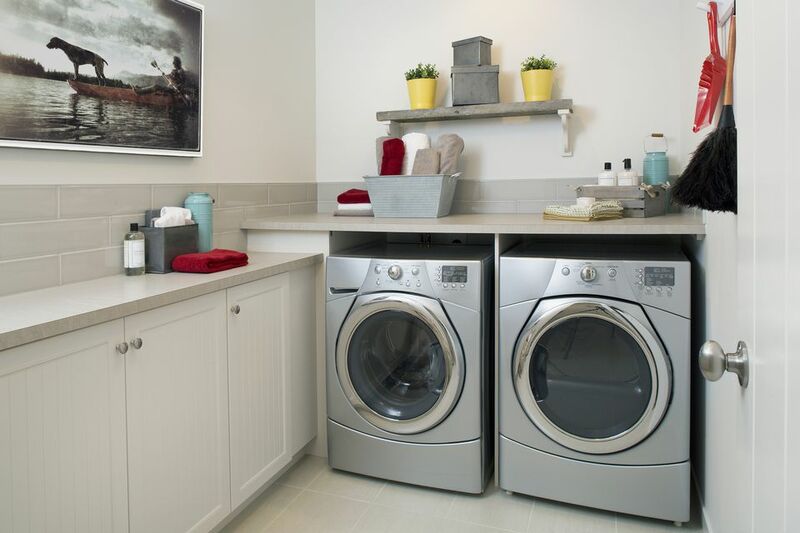 Wring out excess water and toss in the dryer with wrinkled items. Dry on high for about five minutes. Remove the clothes while still damp and hang to dry.